Horse Racing Radio Network (HRRN), the Eclipse Award-winning broadcast organization based in Lexington, KY and official radio home of the Triple Crown and Breeders’ Cup World Championships, announced that José Arturo Sulbarán will join their Spanish broadcast team at Santa Anita Park November 4 and 5 to provide the live Spanish race call of all 13 championship races throughout the two-day coverage on HRRN en Español. Sulbarán, a 30 year industry veteran, served as the official announcer of the Venezuelan Triple Crown in 1998 and provided the Spanish calls of major events such as the Clásico del Caribe in Puerto Rico as well as the Kentucky Derby and Belmont Stakes. From 1983 to 1994, Sulbarán worked as the producer and announcer of the ‘Monitor Hípico’ Show along with legendary Venezuelan race caller Aly Khan, and currently serves as the director of Venezuelan radio stations RQ 910 AM and Deportiva 1300 AM. HRRN en Español, which debuted under the HRRN banner at Saratoga in July, offers live coverage of major stakes races throughout the year as well as a weekly Spanish language talk show “Hablando de Hipismo” which translates to “Talking Racing” in English. Hosted every Saturday morning by Roberto “El Potro” Rodriguez and Eloy Vielma live from Gulfstream Park in Hallandale Beach, FL, Hablando de Hipismo can be heard worldwide from 10:00 – 11:00 a.m. ET via live streaming on the HRRN en Español website, www.hrrnenespanol.com. The HRRN en Español broadcast team will join HRRN’s award-winning crew of Mike Penna, Jude Feld, Kurt Becker and Jeff Bloom at Santa Anita, November 4 and 5, to provide nine hours of live Breeders’ Cup coverage Friday and Saturday afternoons. Spanish coverage of the Breeders’ Cup is presented by Gulfstream Park, home of the 2017 Clasico Internacional del Caribe while HRRN’s traditional English coverage will be presented by visitbarbados.org. A complete broadcast schedule along with live streaming can be found on the HRRN website and at www.horseracingradio.net. The broadcast, presented by Sunrise Stallions, can be heard throughout North America on SiriusXM channel 93 as well as on terrestrial affiliates across the country with live internet streaming provided on the HRRN website, www.horseracingradio.net. Listeners can also access the live stream on smart phones and tablets. Travers coverage will also be available in Spanish as part of HRRN’s new HRRN en Español broadcast platform. The Spanish broadcast is available worldwide with live streaming on www.hrrnenespanol.com. King’s Bishop, Forego and Sword Dancer with the Personal Ensign and Ballerina being aired on taped delay. The Ballerina is a “Win and You’re In” for the Breeders’ Cup Filly and Mare Sprint division, while the winner of the Forego will qualify for the Breeders’ Cup Sprint. The Sword Dancer is a qualifier for the Breeders’ Cup Turf and the winner of the Personal Ensign will earn a spot into the Distaff. 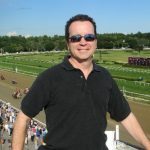 HRRN’s full slate of Travers day programming begins Saturday morning with their popular weekly talk show, the Equine Forum, hosted live from Saratoga from 8:00-10:00 a.m. ET. The Equine Forum airs nationwide on SiriusXM 93 along with terrestrial affiliates across the country and is streamed live and podcast on the HRRN website. HRRN President Mike Penna will anchor the coverage along with analysts Jude Feld and Anthony Stabile. Acacia Courtney will provide paddock commentary and interviews with NYRA announcer Larry Collmus providing the call of the races. Roberto “El Potro” Rodriguez, Eloy Vielma and Hall of Fame jockey Ramon Dominguez provide the coverage on HRRN en Español with Luis Grandison providing the Spanish call of each race. A complete schedule of upcoming broadcasts along with SiriusXM and affiliate information can be found on the HRRN website, www.horseracingradio.net and www.hrrnespanol.com. The Horse Racing Radio Network is your home for Eclipse Award winning coverage of the biggest events in racing throughout the year. In 2016, HRRN will broadcast more than 100 stakes races from racetracks across the United States and around the world. HRRN is the official radio network of the Kentucky Derby, Preakness, Belmont Stakes, and Breeders’ Cup World Championships and produces a series of popular talk shows aired throughout the week on SiriusXM satellite radio: Xpressbet Radio on HRRN (Wednesday – Friday, 3-6 p.m. ET), Jock Talk presented by Tito’s Handmade Vodka (Tuesday, 6-7 p.m. ET), Trainer Talk presented by Fasig-Tipton (Wednesday, 6-7 p.m. ET), Brisnet Call In Show (Thursday, 6-7 p.m. ET), Xpressbet Weekend Stakes Preview (Friday, 6-7 p.m. ET) and the Equine Forum (Saturday, 8-10 a.m. ET). Select race broadcasts are available in Spanish through the HRRN en Español broadcast platform. Horse Racing Radio Network (HRRN), the Eclipse Award-winning broadcast organization based in Lexington, KY, announced Tuesday they will broadcast live from Belmont Park for the eighth consecutive year with full day coverage of the Belmont day stakes races including the 146th Belmont Stakes and California Chrome’s bid to become the sport’s twelfth Triple Crown winner. 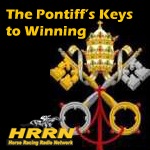 All of HRRN’s broadcasts will be available on Sirius 93 and XM 208 with live streaming provided on the HRRN website,www.horseracingradio.net. In addition, nearly 140 affiliates throughout the United States will join for Saturday’s Belmont Stakes broadcast from5:00-7:30 p.m. ET. The broadcast will also be made available to U.S. Servicemen and Women around the globe on the American Forces Network. Other HRRN programming throughout Belmont week includes “Trainer Talk” presented by Fasig-Tipton on Wednesdayafternoon, the “Brisnet.com Call In Show” on Thursday and the “Xpressbet Weekend Stakes Preview” on Friday. All three shows can be heard live from 6-7 p.m. ET on Sirius 93 and XM 208. A complete show schedule along with a listing of nationwide affiliates and SiriusXM channel information for each show can be found on the HRRN site. Coverage will be anchored by HRRN’s Mike Penna along with analysts Kurt Becker and Jude Feld. Sean Clancy, Chad Summers and Jeff Bloom will provide paddock commentary and interviews throughout the afternoon. Lee Dellapina and Shawn Seay will produce. The Horse Racing Radio Network is the Eclipse Award winning broadcast organization, providing live radio coverage of many of the sport’s biggest races throughout the year. In 2014, HRRN will broadcast more than 100 stakes races from racetracks across the country, and is the exclusive radio network of the Kentucky Derby and Preakness Stakes, and provides the national radio broadcast of the Belmont Stakes and Breeders’ Cup World Championships. In addition, HRRN produces HRRNLive! each Wednesday, Thursday and Friday. A 4-hour show airing 3-7 p.m. ET on SiriusXM featuring racing coverage from across the country and the Final Furlong Show. For more information visit horseracingradio.net, follow us on Twitter @HRRN and like “Horse Racing Radio Network” on facebook. Horse Racing Radio Network (HRRN), the Eclipse Award-winning broadcast organization based in Lexington, KY announced today, they will return to Arlington Park for the ninth consecutive year to provide exclusive on-site coverage of Arlington’s International Festival of Racing this Saturday. HRRN’s broadcast will air live from 4:30 – 7:00 p.m. ET and include a trio of Grade 1 events on the Saturday card: the Arlington Million, Beverly D. and Secretariat as well as the second renewal of the American St. Leger. Fans can tune-in throughout North America on SiriusXM satellite radio and various terrestrial affiliates across the country. In addition, the broadcast will be streamed live on the HRRN website, www.horseracingradio.net. The live stream is also now available to iPhone and iPad users through the HRRN site. The Arlington Million is part of HRRN’s “Road to the Breeders’ Cup” broadcast series presented by Breeders’ Cup, which showcases live coverage of more than 20 Breeders’ Cup Challenge races. The Arlington Million offers a “Win and You’re In” opportunity in the Breeders’ Cup Turf division while the winner of the Beverly D. will earn an automatic berth into the Breeders’ Cup Filly and Mare Turf. HRRN has provided the national radio broadcast of the Breeders’ Cup World Championships since 2007 and will return to Santa Anita again this year with 20 hours of coverage throughout Breeders’ Cup week beginningTuesday, October 29. In addition to the live race coverage, HRRN will host a special Arlington Million edition of their popular morning talk show, the Equine Forum, live from Arlington on Saturday morning. The Equine Forum airs from 8-10 a.m. ETand can be heard on Sirius 93/XM 209 along with select terrestrial affiliates and is streamed worldwide on the HRRN website. HRRN President Mike Penna will anchor the coverage along with analyst Jude Feld. A complete Road to the Breeders’ Cup schedule along with SiriusXM channel information and affiliates can be found on the HRRN site. Click here for the Weather forecast for Arlington Park and other tracks this weekend. Horse Racing Radio Network (HRRN), the Eclipse Award-winning broadcast organization based in Lexington, KY, announced Monday they will launch 18 hours of Derby week programming beginning Tuesday, April 30, with exclusive coverage of the Kentucky Derby Trainers Dinner presented by the KTA-KTOB. HRRN, the exclusive radio network of Kentucky Oaks and Kentucky Derby 139, continues the extensive Derby week schedule Wednesday, May 1 with their popular Derby Countdown Show hosted live form the Churchill Downs backside. The Derby Countdown airs live from 8-10 a.m. ET Wednesday, Thursday and Friday mornings and will be replayed from 3-5 p.m. ET each afternoon on SiriusXM satellite radio. In addition, HRRN will provide live coverage of the Kentucky Derby post position draw from 5-6 p.m. ET on Wednesday afternoon. A full slate of live racing coverage begins Friday afternoon with a 3-hour broadcast of the Kentucky Oaks and undercard stakes from 3-6 p.m. ET. On Saturday, HRRN returns with a special Kentucky Derby edition of their weekly Saturday morning Equine Form show from 8-10 a.m. and continues that afternoon with coverage of the Derby day undercard stakes from 2-4 p.m. ET and the exclusive broadcast of Kentucky Derby 139 presented by Yum! Brands from 5-7 p.m. ET. 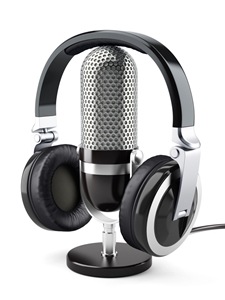 HRRN’s broadcasts will be available on affiliates throughout the country as well as on SiriusXM and streamed live on the HRRN website, www.horseracingradio.net. In addition, the Kentucky Derby will be broadcast to U.S. service men and women around the world on the American Forces Network. A complete Derby week schedule along with a listing of nationwide affiliates and SiriusXM channel information for each show can be found on the HRRN site. Coverage will be hosted by HRRN’s Eclipse Award-winning broadcast team of Mike Penna, Jude Feld, Kurt Becker, Sean Clancy and Chad Summers. Lee Dellapina and Shawn Seay will produce. Join BetPTC.com. 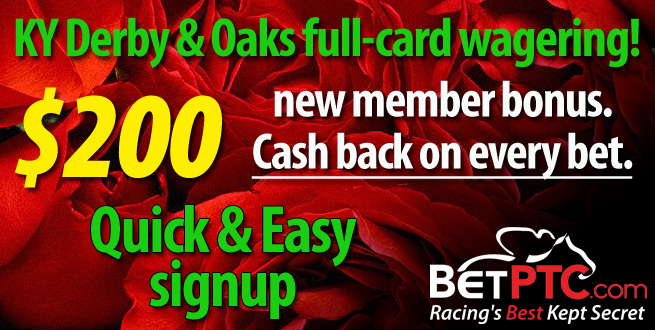 Enter promo code AGOS and get special rebates on your horse racing wagers. Horse Racing Radio Network (HRRN), the Eclipse Award-winning broadcast organization based in Lexington, KY, and the National Museum of Racing and Hall of Fame in Saratoga Springs, NY announced today that the finalists for the 2013 Hall of Fame ballot will be announced live on HRRN, Wednesday, February 27. National Museum of Racing and Hall of Fame Communications Officer Brien Bouyea will join hosts Mike Penna and Jude Feld to make the announcement live beginning at 3:00 p.m. ET. HRRN’s broadcast can be heard nationwide on Sirius 93/XM 209 and SiriusXM Internet/Smartphone channel 961. The results of the voting on contemporary candidates will also be announced live on HRRN Friday, April 26. I made my first wager on a horse race when I was 11 years-old. During the last 43 years, I have developed a systematic way of handicapping that suits my personality and style. For me, it is best to eliminate the dead wood, pruning the race down to the top contenders, instead of looking at all the entrants and finding the one I like best. People often ask me where I start when handicapping a race. There are three basic “negative” factors that get horses tossed early in my process. #1 No good race in a horse’s last three starts. Any neophyte horseplayer can tell you that a horse beaten double digits in its most recent races is probably not a top contender. For me, if a horse hasn’t run at least one decent race recently, I don’t need to be wasting my hard-earned cash on him. I consider any in-the-money finish acceptable and any race where the horse’s finish position and beaten lengths equal 8 or less. #2 No winning race in a horse’s last 10 starts. We want winners. Winning is contagious. Losing is contagious too and backing horses that don’t have the will to win is a quick way to lose your bankroll. It always amazes me to see a 24-race maiden go favored. The public is usually a pretty good handicapper but when they embrace a perennial loser, there is usually some money to be made. New York sportswriter and author Damon Runyon said, “The race is not always to the swift nor the battle to the strong, but that’s the way to bet.” If a horse is slower than his competition, he is going to lose. I find the horse with the highest lowest speed figure in its last three starts and eliminate all the competition whose best speed figure in their last three starts is below that highest lowest figure. The highest lowest is the 89 run by horse #1 three starts back, so any horse who has run under an 89 in all of their last three starts would be eliminated. In this case, #3 and #5. You can find winners every day that break one, two or even all three of these rules, but the money wasted betting on horses that have little chance of success can better spent on a solid betting proposition. Avoiding stiffs is extremely important, especially in Pick Six through Pick Three wagering, when your ticket grows exponentially as your profit margin diminishes. Horse Racing Radio Network (HRRN), the Eclipse Award-winning broadcast organization based in Lexington, KY, announced today it will provide exclusive on-site coverage of the fourteenth Claiming Crown from Gulfstream Park this Saturday. HRRN’s broadcast, presented by Kitten’s Joy standing at Ramsey Farm in Nicholasville, KY will air live from 2:00 – 5:30 p.m. ET and include coverage of all seven Claiming Crown stakes on Gulfstream’s opening day card. Fans can tune in on Sirius channel 93 and via live streaming provided on the HRRN website, www.horseracingradio.net. In addition to the live race coverage, HRRN will host a special edition of their popular morning talk show, the Equine Forum, from Gulfstream Park on Saturday morning. The Equine Forum airs live from 8-10 a.m. ET and can be heard on Sirius 93 – XM 209, HANK 96.1 FM in Lexington, KY and on the HRRN website. HRRN President Mike Penna will anchor the coverage along with analyst Jude Feld. A complete schedule with SiriusXM channel information can be found on the HRRN site. Saturday’s Breeders’ Cup preview day at Santa Anita on Sept. 29 was the place and time to utilize all of those wise sayings. The final Pick Four sequence included four stakes, three of them Grade 1 events. It kicked off with the Zenyatta (G1) with local favorites Include Me Out, Amani and Switch squaring off against Todd Pletcher shipper Love and Pride and Larry Jones invader Joyful Victory. For the sake of argument, let’s say you buy the race with those five. It could be suggested that the Rodeo Drive (G1) held the best place to single. Glen Hill Farm’s Marketing Mix held a current condition and class edge over the field. To me, the second-best filly in the race was Stormy Lucy, but she is three and although vey talented, not nearly as accomplished as the favorite. The big race of the day was the Awesome Again (G1). Game On Dude was the heavy favorite, by virtue of his multiple Grade 1 victories and a perfect four-for-four record at The Great Race Place. Some fans fancied one of the geriatric handicappers – Richard’s Kid and Rail Trip. Suggestive Boy, an Argentine import, had his backers as well. Really, it was all wishful thinking, as “GOD,” as he has become known, looked lengths the best on paper. Four fillies seemed to dominate the Unzip Me Stakes, the final leg of the Pick Four. Viva Carina had never run a bad race in three starts. She was shortening up to six and a half furlongs down the hill from a second-place finish in the Torrey Pines Stakes at Del Mar. Koko Loca owned a nice turn of foot and seemed like she would like the hill. Her best U.S. race was on the turf and she was getting back on it for this race. Stable whispers were out on Madoffwiththemoney, a winner of three of her five lifetime starts, shipping in from Golden Gate Fields, whose best Beyer speed figure had been earned on the grass. Byrama rounded out the contention. She was a stakes winner already and had placed in two graded stakes. Jockey Rafael Bejarano was back aboard her after a three-race absence and he had won twice on her this year. At the very minimum, your Pick Four ticket is 5 x 1 x 1 x 4 or $20 in $1.00 increments. If Stormy Lucy or some other filly or mare worried you in the Rodeo Drive (G1), the ticket goes up to $40 and if you thought Richard’s Kid or Rail Trip might give Game On Dude a run for his money, the ticket climbs to $80. The $1.00 winning Pick Four of Love and Pride, Marketing Mix, Game On Dude and Byrama returned $88 – Certainly far from a life changing payoff and a tremendous risk considering the need to pick four winners in-a-row. Saturday’s card was not a great opportunity to get wealthy. It was much too chalky. Surely better opportunities await on [future race cards]. Stick to your game plan. Take what the racing secretary gives you. Be patient and save your money for the days when you can make a big score. You never want to bet a lot to win a little. The idea is to bet a little to win a lot. I just had one of the best winning streaks of my life. Several factors contributed to the rarified air I was breathing, most importantly the weather, which was about as spectacular as one could imagine during upstate New York and Chicago summers. Focused handicapping and solid betting also played their part. It is never a bad thing when you get to know your mutuel clerk on a first name basis. When The Silver Machine ($68.50) wired her field on the inner turf course at Saratoga on August 2, I was very pleased, but I had no idea her victory would be the start of a month of horseplaying bliss. On Whitney (G1) day I was unconscious, nailing Julie’s Love ($10.20), Emma’s Encore ($12.40) and Fort Larned ($16.40) in three straight races and picking up the late Pick Four in the process. Later on the trip, trainer Merrill Scherer went on a mini winning streak, saddling three winners in a 24-hour period and I bet on all of them – Do I Do ($16.20), Nubin Ridge ($10.60) and Megalith ($10.00). Leaving the Spa after the Hall of Fame inductions on Friday was bittersweet. I wanted to get home and see my wife, but I didn’t want this winning streak to come to an end. After five days home, and no past performance studying, it was off to Chicago for the Arlington Million. I picked up at Arlington where I left off in Saratoga, nailing the late Pick Four on Thursday. Oh wait, the objection sign is on the board. After a lengthy review, the stewards allowed the claim of foul and my ticket was no good. I felt the incident nearing the wire had no bearing on the outcome, but they didn’t ask me. Circumstances coupled with the dubious decision from the steward’s stand kept me away from the windows on Friday, but I was back in full force for the Million day Pick Five. Alastair Donald was in love with Jakkalberry ($5.20) in the new American St. Leger race that Arlington had developed. He is the director of the International Racing Bureau and a man whose opinion I highly respect, so I singled. I loved Bayrir ($8.40) in the Secretariat (G1), figuring he would get the perfect trip behind the two speedy favorites. When Dave Zenner, the Senior Manager of Communications at Arlington Park, came on our Equine Forum show Saturday morning, he commented that Bayrir had looked better and trained better than any Euro he had seen all week. Another single. Spreading the third and fourth legs, I caught the favorite in the Hatoof Stakes, Leading Astray ($6.80) and I’m a Dreamer ($14.60) in the Beverly D. (G1). Little Mike, Crackerjack King and Boisterous were my top contenders in the Arlington Million (G1) and I was not shocked to see Little Mike ($9.80) go wire-to-wire. He is an amazing horse and was no doubt short-changed by the European bettors in the wagering, as the Pick Five returned $1633.40 for half a buck – nearly a grand more than the parlay price. Back to the Spa the following Tuesday, it was more of the same. Hitting Pick Fours never gets old, even if they are somewhat chalky. Wednesday, Thursday and Friday I was still en fuego, with Horses to Watch lister Central Banker ($7.80), inside to outside turf sprinter Madame Giry ($7.20) and Sally’s Dream ($19.60) anchoring key plays. Unbridled’s Note was the victim of a horrid trip in the King’s Bishop (G1). He should have been posing for pictures and I should have had a massive Pick Four, but Julien Leparoux took care of that, finding more trouble than Snooki on a Saturday night. To make matters worse, “the Leper,” as my nephew has affectionately dubbed him, nails my Pick Three single, Rollingwiththetide, in the finale, costing me a $4,000 payday. I knew it. The crimson tide told the story. This roll was over.